We have already seen a couple of new Android tablets this morning and now we have a new Windows 7 tablet from Gigabyte, the Gigabyte S1081, which comes with a 10.1 inch touchscreen display. The Gigabyte S1081 tablet features Intel’s new Cedar Trail platform, and there will be two different models, one with a 500GB hard drive and one with a solid state drive (SSD). 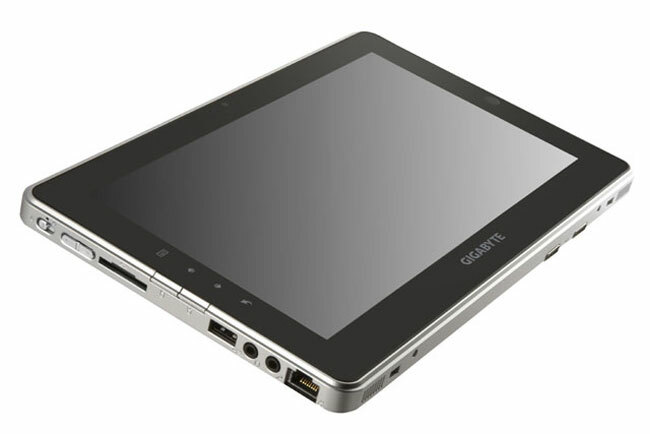 Other specifications on the Gigabyte S1081 Windows 7 tablet include an optical trackpad, HDMI, VGA, USB 3.0, Bluetooth and a 1.3 megapixel web camera, plus a built in Ethernet port. There are no details as yet on when the Gigabyte S1081 tablet will be available and also no details on pricing.